Para descargar los drivers para TOSHIBA SATELLITE C55D-A5240NR compatible con Windows, Non-OS, Windows 10 (64), Windows 10, Windows 8.1 (64), Windows 8.1 (32), Windows 8.1, Windows 8 (64), Windows 8, Windows 8 (32), Windows 7 (64), Windows 7 (32), Windows Vista (64), Windows Vista, Windows XP, Other, pulse el botón “Descargar”. Si necesita otra versión del driver o del firmware para el dispositivo, envíenos una petición. Si tiene cualquier pregunta sobre este driver, puede contactarnos mediante el formulario de contacto. En esta página también puede discutir las particularidades de la instalación, la desinstalación y la actualización de este driver. This is a Windows 8 ATI HDMI Audio Driver update. The HDMI issue below is caused by a combination of Sleep or Hibernate modes, Display Driver, and Audio Driver.To solve this issue, both ATI HDMI Audio Driver V8.0.0.8812 and AMD Display Driver V12.104.1.2 must be installed together. Display mode is set to "Duplicate", "Extend" or "Second screen only"
Click the Start button when the Toshiba Archive Extractor window is displayed. This is a Windows 8 AMD Display Driver update. The HDMI issue below is caused by a combination of Sleep or Hibernate modes, Display Driver, and Audio Driver.To solve these issues, both ATI HDMI Audio Driver V8.0.0.8812 and this AMD Display Driver must be installed together. The WLAN will not function when adding (pairing) or disabling a Bluetooth speaker or headset while playing an online video on YouTube. This software accelerates the Hard Disk Drive (HDD) by using system memory as cache. Modified so that an external HDD can be detected normally. Fixed: Blue screens after waking from a sleep state with a VHD connected to the computer. Save this file to a convenient location such as the Windows Desktop. From the Windows Desktop, run the downloaded file to start the installation. If a User Account Control or Open File message is displayed, press Continue. Press the Next button at the InstallShield Wizard screen. Press the Finish button when the installation completes. Verify that the version is 1.2.0000. For CD-ROM BIOS updates in Windows 8 models: (1) Shut down the system while pressing the SHIFT key to completely power off. (2) Power on while pressing F2 to enter the BIOS Setup Menu. (3) Go to the Security tab and set the "Secure Boot" setting to "Disabled". (4) Go to the Advanced tab, enter "System Configuration" and set the Boot Mode to "CSM Boot." (5) Press F10 to save and exit. (6) Boot from the BIOS CD-ROM and type FLASH or BIOS at the C:\\ prompt. (7) After the BIOS update has completed, restore the Boot Mode setting to "UEFI Boot" and the Secure Boot setting to Enabled. For CD-ROM BIOS updates in Windows 7 models: Type FLASH or BIOS then press enter at the C:\\ prompt. For all updates: The BIOS update will force the computer to shut down or restart. Please make sure to save all work in progress before starting BIOS updates. Power on the computer if it is off. Check the version of BIOS and press the F9 function key then Enter to load setup defaults. For CD-ROM BIOS updates in Windows 8 models: (1) Shut down the system while pressing the SHIFT key to completely power off. (2) Power on while pressing F2 to enter the BIOS Setup menu. (3) Go to the Security tab and set the "Secure Boot" setting to "Disabled". (4) Go to the Advanced tab, enter "System Configuration" and set the Boot Mode to "CSM Boot." (5) Press F10 to save and exit. (6) Boot from the BIOS CD-ROM. (7) Type FLASH at the C:\\ prompt then press Enter. (7) After the BIOS update has completed, restore the Boot Mode setting to "UEFI Boot" and the Secure Boot setting to Enabled. Note: The BIOS Launcher "CD_ROM Installation" option may not automatically proceed to burn the CD-ROM in Windows 8. If this occurs navigate to the directory named after the BIOS filename in the root directory of the C-Drive (ex. C:\\skgjv130), and manually burn the CD-ROM from the disc image (ISO) file. For CD-ROM BIOS updates in Windows 7 models: (1) Boot from the BIOS CD-ROM. (2) Type FLASH at the C:\\ prompt then press Enter. Added: :Support for "Function keys Mode" in Windows 7. Updated: UEFI PXE Driver to V2.022. Fixed: May not wake from Hibernation (S4) on systems with an external HDD when the HDD password is set. Modified: System Configuration Utility (SCU) help-screen strings for ESC and Enter. Updated: AMD "Disabling the RTC Daylight Saving Time Feature." This is a TOSHIBA Display Utility package for 64-bit Windows 8.1. Fixed: After installing Microsoft update rollup KB2883200, the Help window layout is abnormal. Fixed: Windows Media Player content playback is not smooth when Resolution is ON. Click Continue if a User Account Control window is displayed. Click Next at the InstallShield Wizard window. Click Finish to complete the update. From the Control Panel select Programs then Uninstall a program. Find the TOSHIBA Display Utility. Verify the version is 1.1.9.0. Book Place offers a completely interactive experience that not only brings books to life with sound, color and video, but gives you ReadAloud, integrated web search, hyperlinks, text-to-speech capabilities, exportable notes and much more. Just imagine reading your child a bedtime story where characters talk, images come alive, and each word is highlighted to give your child an unrivaled way to learn. Students can turn textbooks into an interactive classroom by taking notes and highlighting text, and lifestyle titles like cookbooks and travel books let you download recipes or explore distant lands. In addition to today’s best-sellers, this rich content is also available for purchase at Book Place. Now digital books come to life, at Book Place. Click on the Red Book Place icon in the task bar (if present). Enter "Book" into the search field. Click "Toshiba Book Place" in the search results. Toshiba Book Place will open. Sign in using your existing account or create a new account. To learn more about Toshiba Book Place, click "Take The Tour". Because our apps are cloud based, you don’t need to download them to your computer. Instead you access them through the Internet. They save your valuable hard drive space; you always have the latest, most up-to-date software version. Your apps are virtually always available to you, anytime, from anywhere. To make it easier, we’ve grouped our apps onto four main packages specially designed to work for you and your Toshiba laptop. Road Warrior - All your things with you wherever you are. Family CEO - Your household organized, Your memories kept. The Essentials - The essential apps that make any device complete. Student life 101 - Balancing your busy student life. Click on the Blue App Place icon in the task bar (if present). Enter "App" into the search field. Click "Toshiba App Place" in the search results. Toshiba App Place web page will open. Sign in using your existing account or create a new account in the upper Right corner. To learn more about Toshiba App Place, CLICK HERE. The TOSHIBA Video Player is a Windows-based software application that lets you view DVD movies, or video content recorded using home video camcorders. You can play DVD-Video, DVD-VR, and video files. Furthermore, you can convert 2D home videos and other 2D content you create into 3D and enjoy them in 3D. Use the on-screen control panel to operate the TOSHIBA VIDEO PLAYER. The video player also includes Resolution . Enter "Player" into the search field. Click "TOSHIBA Video Player" in the search results. The TOSHIBA Video Player will open allowing you to playback DVD-Video, DVD-VR, and video files as well as other options described above. To learn more about the TOSHIBA Video Player, click the question mark icon on the controls panel. Use this program to create recovery media.NOTE: The Recovery Media Creation program will only work if the recovery files are still intact on the computer's hard drive.If your computer's hard drive of solid state drive has been formatted or repartitioned, then it may not be possible to use this application to create the recovery media. Some laptops are equipped with "eco mode". This mode slightly lowers performance of some devices to reduce electric power consumption. You can realize measurable power savings by using it continuously. TOSHIBA eco Utility helps you monitor your power savings by showing approximate real time power consumption. Furthermore, it shows approximate accumulated power consumption and approximate accumulated power savings when using eco mode daily, weekly, and monthly. The utility also shows the approximate accumulated CO2 emission and savings while using eco mode. You can track power savings by using eco mode continuously. eco Mode sets the conditions described below. If you deviate from these settings, e.g., if you turn up the monitor brightness or turn on the LED illumination (*1), it will no longer be eco mode. eco power plan is used for eco Mode. It has the following settings by default. These settings are in addition to the standard Power saver plan settings of Windows. It changes the display brightness to Level-4, changes the dimmed display brightness to Level-1 (*4), turns off the LED illumination (*1) and the keyboard backlight (*2), changes the time before dim the monitor to 2 minute (*4), changes the time before the monitor turns off to 5 minutes, changes the time before the hard disk turns off to 5 minutes, and changes the time before the system enters sleep to 10 minutes. It changes the display brightness to Level-3, changes the dimmed display brightness to Level-1 (*4), turns off the LED illumination (*1) and the keyboard backlight (*2), changes the time before dim the monitor to 1 minute (*4), changes the time before the monitor turns off to 3 minutes (2 minutes, if models with Windows 7 installed), changes the time before the hard disk drive turns off to 3 minutes, and changes the time before the system enters into sleep mode to 5 minutes." If you change the power plan to "eco", your PC is on eco mode. Enter "eco" into the search field. Click "eco Utility" in the search results. Please read the information in the first box, select "Agee" and click "OK". The TOSHIBA eco Utility will open allowing you monitor power consumption and set preferences. 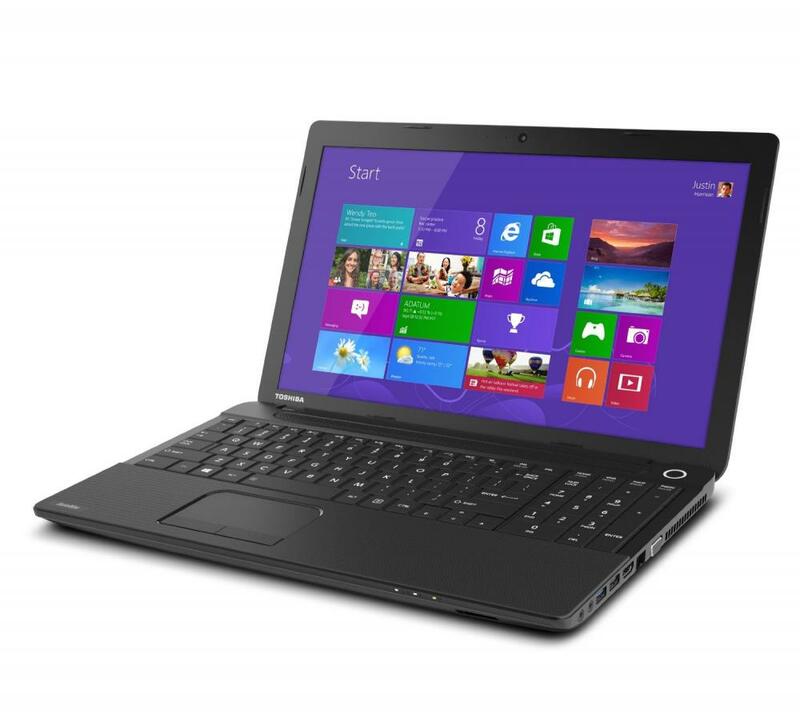 CLICK HERE and Refer to your Owner's Manual for additional information on the TOSHIBA eco Utility. It is recommended to install Toshiba System Driver first. Must install Toshiba System Driver before installing this package. This driver includes Bluetooth ACPI driver and TOSHIBA hotkey driver. This utility adds additional password security to your Toshiba computer. After registering a user password, you will be required to input it when booting the computer or starting the Password Utility. Refer to your Owner's Manual for complete details. Enter "Password" into the search field. Click "Password Utility" in the search results. The Password Utility will open allowing you to set, delete or change the password. Set password will regsiter a user password with the computer. Delete allows you to delete the regsitered user password. Change allows you to change the regsitered user password. When setting a password, you can apply it to the HDD. For information about this feature, click on "Learn More...". TOSHIBA System Settings is a desktop utility for configuring your computer. This application will download the latest User's Guide for your computer from the Toshiba Support Web Site.Requires internet connection and Adobe Reader.